Trip Advisor is a great website for travellers and one I use all the time when looking for hotels or restaurants when travelling. 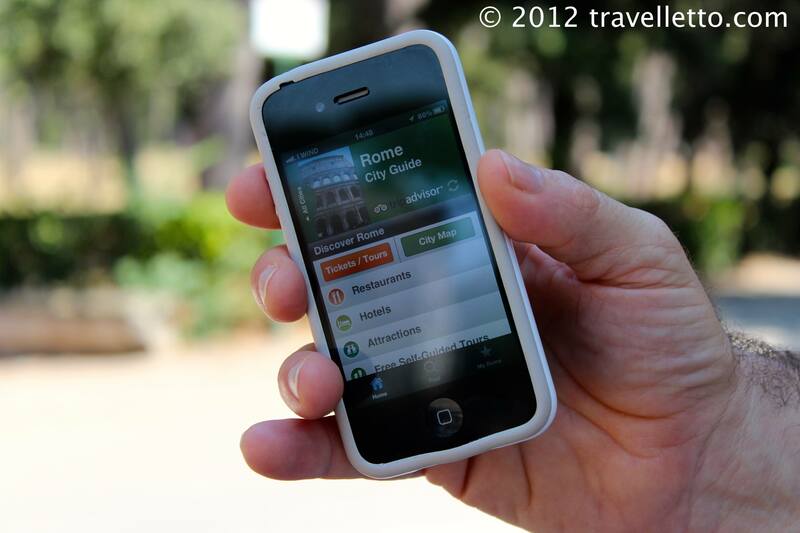 Zorba downloaded the free Trip Advisor City Guide for Rome so we could use it offline on the iPhone, which was perfect. You can look up restaurants, hotels, attractions, sights, shopping as well as follow self-guided tours whilst walking around. The very best feature is Point Me There to help you find your way to wherever it is you want to go. A large arrow points you in the general direction you need to walk. Because it is offline, Google maps doesn’t work, but that does not seem to matter. Zorba loves the Point Me There feature of the Trip Advisor app. We used to it find our way to the Trevi fountain, Villa Borghese, Cappuchin Crypt, and dinner at San Michele in Trastevere. It’s brilliant – you don’t need to stop and pull out the map every 10 minutes – just quickly glance down to the phone and make sure you are heading in the right direction. The best part of it was that we walked down streets that normally I would not have taken if I was following a conventional old-school map and we stumbled upon some really lovely sights. Trip Advisor app is available through iTunes and is free. 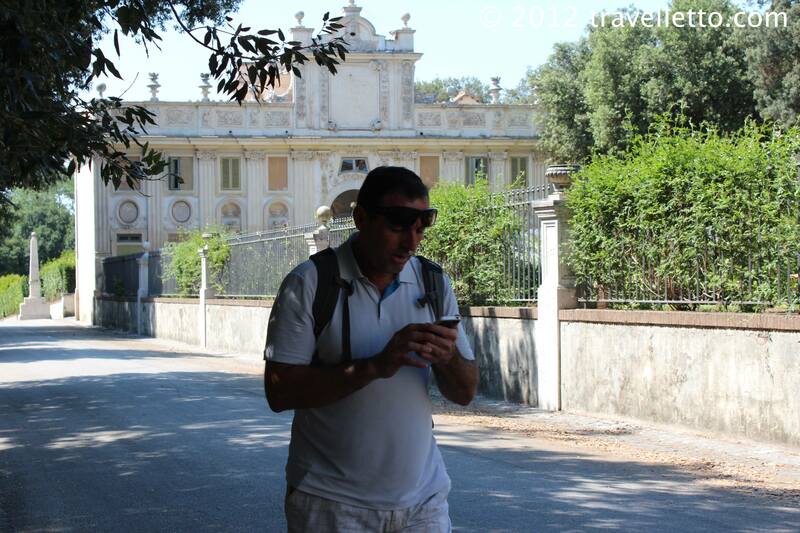 Downloading the specific city guide is essential to be able to use it offline. i LOVE that this app works without any internet/ network connection!! I can’t imagine travelling to Europe without it! I just downloaded it and the city maps I’m planning to visit in EU. – Tripit: you can email your bookings (airline, hotels, car, trains, etc …) to this app and the app will generate an itinerary with all the information for you. 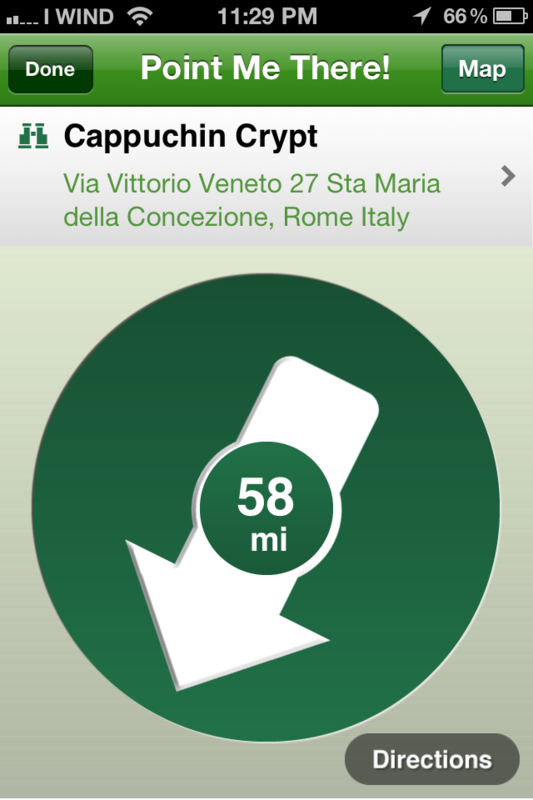 – CityMaps2go: Similar to trip advisor app.